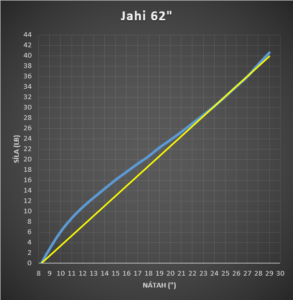 Jahi is a male Egyptian name expressing dignity. Jahi Bow is a classy entrance into the world of top hybrid bows. Its profile is based on the Tabia and Sanura bows. Smooth reflex and deflex outline of this bow visually expresses its mechanical and functional properties. Subtlety, smoothness and spontaneity. Both while drawing and release. It is fast, silent and with ZERO handshock. Unlike the high tech reflex bows it is forgiving minor shooting mistakes. The handle is shaped symmetrically so it makes it possible for both left handed and right handed people to shoot. That’s why Jahi is the best choice of a family or a club bow. If poundage is set up reasonably, anyone can shoot it. 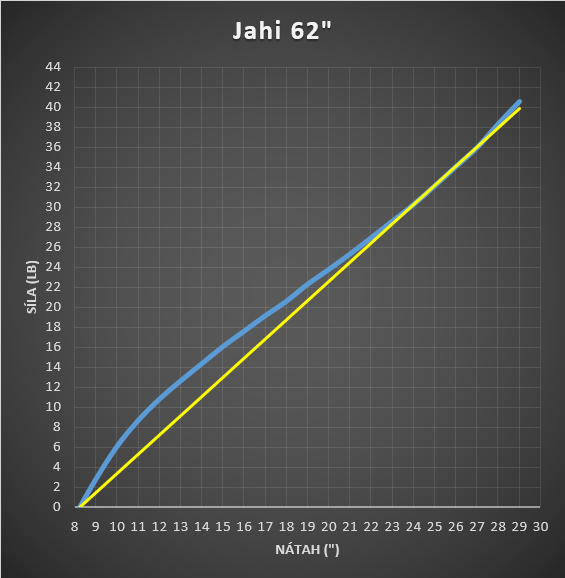 Jahi in this grip design and a length of 56 “to 64” is in line with the style of PB-HB according to HDH-IAA 3D rules. The middle part consists of hard local woods ash, maple, walnut and acacia and exotic hard woods Shedua, Zebrano, Jatoba, Ipe and Wenge and it is interspaced with thin colored laminate reinforcements. The limbs are made of the core of two thin and tapered bamboo laminations and, depending on the design, fiberglass or carbon laminate. Single carbon (SC) version has an unidirectional carbon on backing and a transparent or black fiberglass laminate on the belly. The basic model has both laminates from a transparent or black fiberglass laminate. There is a veneer under the transparent fiberglass laminate. It serves one main purpose to show and celebrate the natural beauty of the wood. 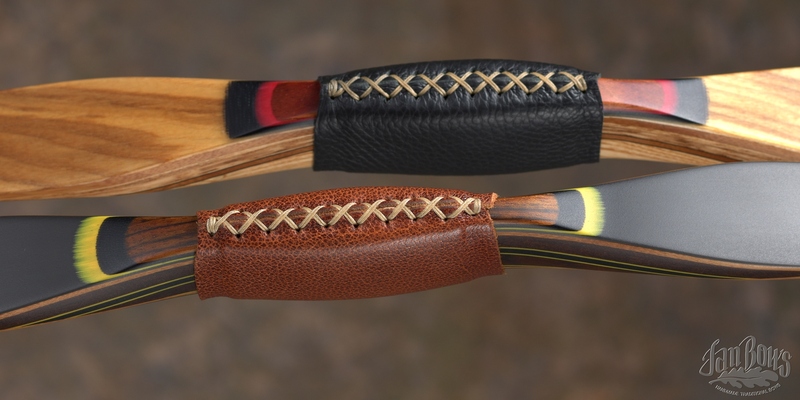 The choice of the veneer and wood type is down to personal preferences of each and every archer. Every Jahi bow is varnished with 5 layers of mat 2 PUR varnish. The grip is covered with leather in color of the archer’s choice. Every Jahi bow is supplied with 10 or 12 threads of Astro Flight string and Angel Majesty centre serving. Jahi fulfills all requirements for competitions under IFAA and WA associations.